Brand new for late 2011 and the 2012 riding season, Arai has released a slew of new graphics for the every-popular Arai RX-Q Helmet. For the last few years, this has been one of the most super-premium lids in the industry, covering a range of applications, and most popular in the upright riding position. While the stock photos often don't do helmet graphics justice, we've done our own brief reviews of these new graphics, in which you can get a close-up look at the detail and intricacy therein. Check them out below, and stay tuned for more as we release them. 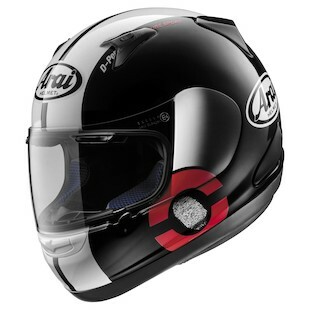 Arai RX-Q Glaze - Note: In the video, as in person, this helmet is a pure white, not a silver. Stay tuned for new graphic looks as they are released.